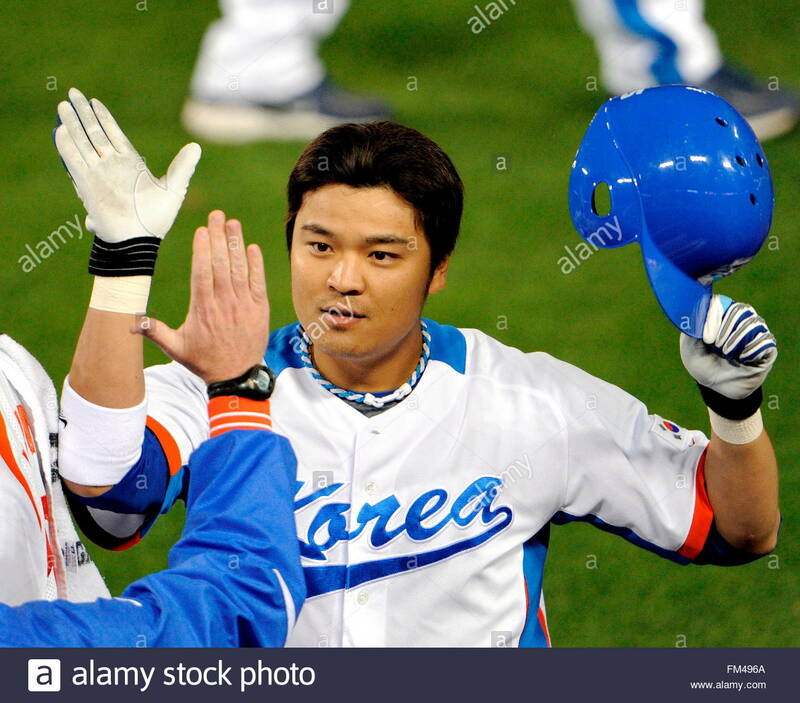 Seattle Mariners first baseman Lee Dae-ho, Texas Rangers outfielder Choo Shin-soo, and Baltimore Orioles left fielder Kim Hyun-soo said they will represent their home country in this next year’s World Baseball Classic, if called, via news article report from Naver sports. All three players have represented team South Korea in the 2009 edition of the World Baseball Classic, and have also taken part in other international Baseball tournaments carrying the South Korean flag, participating in the previous Beijing Olympics in 2008, 2010 Guangzhou Asian games, and last years opening of the Premier 12 (with the exception of Choo Shin-soo). With all three players likely be called up by their National team soon, they’re still not yet done recruiting… As they are also looking to include LA Angels Choi Ji-man, Chiba Lotte Marines pitcher Rhee Dae-eun and St. Louis Cardinals closer Oh Seung-hwan (Team manager Kim In-sik is in favor of recruiting Oh Seung-hwan, despite his previous overseas gambling scandal, Oh said he would like to participate, based on a previous report, but he’ll need to step it up and be prepared, cause some, if not most of his fellow countrymen will be against him participating). First of all – how’s school, and how is driving? Secondly, thanks for this information. I know a lot of people don’t feel this way, but I absolutely love the World Baseball Classic. I love seeing the teams, the fans from all over the world, the different traditions, the players we’re missing. I love seeing little teams go up against huge teams and sometimes win out. I love watching major leaguers from different teams come together and work as a team and seeing how their chemistry works. I just love the World Baseball Classic. Ren, that’s terrible! I just read about the incident because they didn’t say anything about it on the news here, so I looked it up. That’s so sad. 😦 Are you ok? How is Ares? Did anyone you know become injured in any way? I’m alright, and so is Ares, she’s currently in Makati this year. She texted me immediately after she heard the news, I ensured her I was okay. Fortunately, I got home around 9:00 in the evening that time before this happened… ADDU, a college which is located just across the road from where the incident took place, was normally my first dropping point to find a second ride home after classes, I really can’t imagine something like this would happen… Roxas night market was sometimes the place where I go buy food for dinner, and just relax and stroll around with my friends after classes… I never expected this. Many of us are still coping with what happened, some are still afraid to even go outside. Threats are still there, the day after this… there was a report about a second bomb located at NCCC center point, but thankfully, it was defused immediately… We are definitely facing a crisis right now here in our city.